Fresh off the unveiling of the Excite tablet, which emerged last week as the thinnest tablet on the market, Toshiba is once again going super slim with its upcoming Portege ultrabook. The new laptop will be the thinnest anywhere, effectively out-slimming the MacBook Air at just .63 inches tall when closed. The Air is .68 inches at its tallest point, but its sloped body eventually slims down to a barely-there .11 inches. 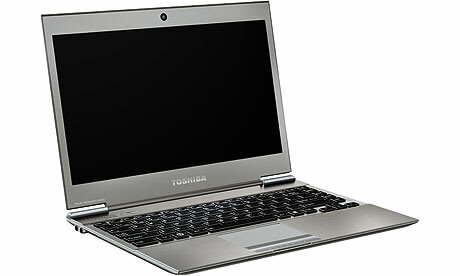 Toshiba&apos;s Portege, also known as the z830, will ship with up to 6GB of RAM, 128GB of solid state drive storage and a 13.3 inch screen. Pricing on the computer isn&apos;t yet known, but it&apos;s scheduled to ship in November.